Island destinations are usually the frontrunners on people’s must-go lists, with the more remote places considered to be more desirable. There’s something romantic about the thought of swimming in (semi)uncharted shores, cell signals low enough to be unreachable, and dusting off the white sand from your tired fingers. What’s not as romantic, however, is the reality that these islands likely don’t have the appropriate facilities to handle serious emergencies. Being cut off from modern society may sound nice if you’re a boho traveller, but it doesn’t sound that great if you’re the mother of a child that’s having convulsions. Which is exactly the situation that makeup artist Barbi Chan found herself in. As she wrote on her now-viral Facebook post, her daughter started having convulsions two days in to their Boracay family vacation. Worried that she had gotten a concussion from the day before, the family took her daughter to a medical clinic. To their dismay, the clinic was extremely unprepared to deal with the situation, and referred them to the nearest hospital—in Kalibo, approximately two hours away. She eventually decided to fly her daughter back to Metro Manila, but that also presented its own problems, with her calling out the air ambulance service “stupid” and “inefficient.” She noted that the ambulance (“a multicab with a detachable stretcher”) charged her a total of 11,500 pesos to get to the airport, which doesn’t include the 6,000 pesos speedboat ride they had to take. She isn’t the first to talk about a vacation turning into a nightmarish experience due to lack of medical facilities. Earlier this year, we talked about Karen Davila’s own surfing experience gone wrong at Siargao. Tourists aren’t the only ones affected by this, either. Talking to other island natives, we learned that it’s common enough to only have small medical clinics scattered around an island. Though we rarely hear their perspectives when it comes to matters like these, island dwellers, too, have to fly or ride out to nearby hospitals outside the island when a serious medical issue occurs. I want to say that it’s the local government’s prerogative to have at least one working hospital on their island, especially if it’s a place frequented by tourists. However, I do realize that it’s not as simple as it sounds, considering the way our government works. Still, I have to wonder: if the government could close Boracay for half a year to “rehabilitate it,” couldn’t they have spared some time and money to build a hospital, too? 1. Be insured. This may sound alarmist to you, but having insurance is a godsend during emergencies. Barbi Chan’s insurance helped her pay to get her daughter to Manila, for example, which made a stressful situation a little bit less tense. 2. Have a lot of cash at the ready. While I’m guilty of not bringing a ton of cash while traveling myself, this is really helpful when emergencies come up. Some places only accept cash, and you don’t want to get stuck looking for an ATM when your loved one is in danger. 3. Know the local language (or at least, be with someone who does). A lot of us have been conditioned to believe that a knowledge of English is all you need language-wise when travelling, but that can’t be any further from the truth. It definitely helps to learn at least a bit of the language beforehand, lest you get into any trouble. And for people traveling locally, don’t be fooled into thinking that a handle on Tagalog is enough, either. I’ve been to places where shady locals have tried to trick me, and said as much to their companions, thinking that I didn’t understand their language. Thankfully, I did, and I was able to avoid unsavory situations. 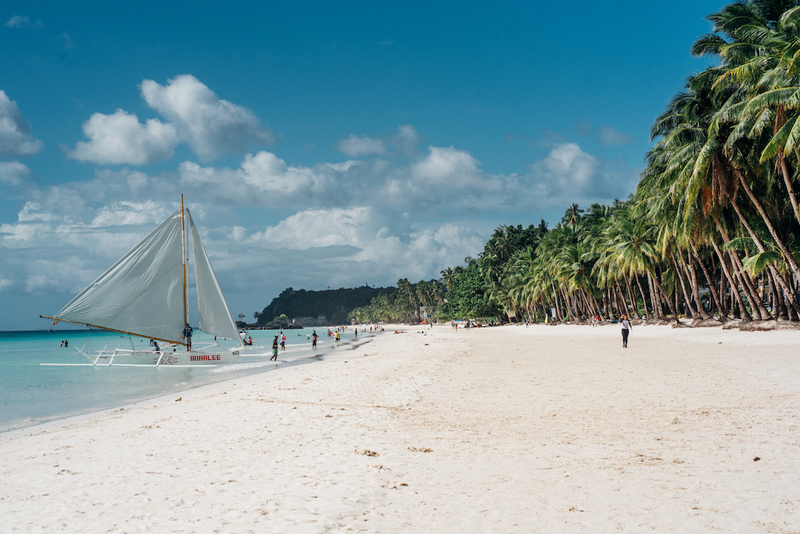 Photos courtesy of JP Talapian, from our article on finding the right hotel in Boracay. Where to eat in Boracay from 7 a.m. to 7 p.m.